What is the sixty-year rule? The sixty-year rule is the informal name given to section 34 of the National Heritage Resources Act (NHRA) which states that ‘No person may alter or demolish any structure or part of a structure which is older than 60 years without a permit issued by the relevant provincial heritage resources authority’. How can I tell if my property is older than sixty years? Owners of properties older than sixty years need a permit from the relevant Provincial Heritage Resources Authority (PHRA) before they can alter or demolish any structures. The most common way to find out the age of a property is to go to your nearest municipal plans archive to find the original building plans which will be dated. Is a property older than sixty years automatically a heritage resource? No. It has general protection under heritage legislation but is not automatically considered a heritage resource. What should I do when selling a property older than sixty years? Make sure you have disclosed the age and heritage status of a property to a potential buyer. This helps all parties avoid unpleasant repercussions down the line. Estate agents are increasingly driving the disclosure process. If your agent is not assisting you with ‘heritage basics’ and directing you to expert resources you may want to shop around. I altered my home which is older than sixty years without a permit what do I do? You have committed an offence that, if convicted in a court of law, could carry a penalty (for example a fine and a term in prison). In the past the term in prison has been commuted, but a jail sentence is recorded on your passport etc. The thing to do is to report your indiscretion to the PHRA together with the reasons and ask the PHRA to condone the offence. When do I need to conduct a Heritage Impact Assessment? How do I get my property declared as a heritage site? 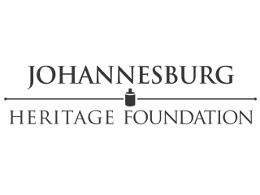 To nominate a site as a Provincial Heritage Site in Gauteng you will need to fill out a nomination form and submit it to The Provincial Heritage Resources Authority Gauteng (PHRAG). The nomination form (which includes a useful checklist) can be found here. You may need the help of a professional to assess the significance of the site. 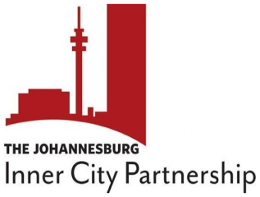 Is there an incentive for owners of Provincial Heritage Sites in Joburg? Yes. 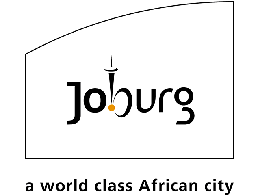 The City of Joburg offers a 20% rates rebate for owners of Provincial Heritage Sites. Contact the Directorate of Arts Culture and Heritage to apply. Click here for contact details. Section 43 of the National Heritage Resources Act puts in place the framework for incentives for heritage conservation. Are 'Blue Plaque' listed buildings heritage sites? Some are officially declared but many are not. Declaration status is separate from blue plaque status although the common thread is that sites have been identified as having cultural significance. No legal protection flows specifically from being a blue plaque site. However, the vast majority of blue plaque sites are older than sixty and owners will need a permit from the heritage authority before any work can take place. When should I engage a heritage professional? You should engage a professional right at the beginning of the planning process. What is a heritage sensitive architect and when should I use one? A heritage sensitive architect is a professional architect who has gained expertise through practical experience and/or specialised professional training. They should be aware of the requirements of the National Heritage Resources Act and familiar with contemporary and emerging conservation practice. 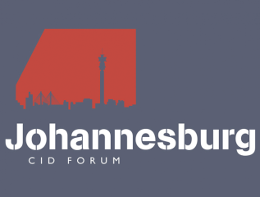 What do the Johannesburg Heritage Foundation's 'ABC' ratings mean? A = Outstanding heritage value. Don't touch our treasures. B = Fine building. Beautiful and probably a good example of a period or the work of an excellent architect, with historical interest. It may also have landmark value. Touch with very great care, only after consultation and don't even think of demolition. When do I need a heritage permit? You will need to apply for a permit from the appropriate heritage authority if you are planning to 'destroy, damage, deface, excavate, alter, remove from its original position, subdivide or change the planning status' of a declared or provisionally declared heritage site. You will also need to apply for a permit if any structure or part of any structure is older than 60 years. I've heard people talk about cultural significance. What does this mean? 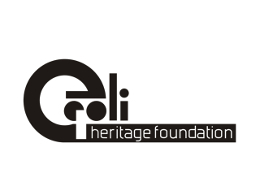 According to the National Heritage Resources Act, cultural significance means aesthetic, architectural, historical, scientific, social, spiritual, linguistic or technological value or significance. What role should an estate agent play regarding heritage? The estate agent has a vital role to play ensuring that buyers and sellers are aware of the declaration status and sixty year status of a property. They should include these details in their sales material and definitely disclose the status in the appropriate section of an offer to purchase. Where relevant, estate agents should also be able to direct buyers and sellers to good educational material and put them in touch with the heritage authority, professionals and local preservation groups. My property is older than sixty but has been altered several times so surely I don't need a permit? This is a common but incorrect view. You will still need to apply for a permit if your property (or any part of it) is older than sixty. What is the sixty year rule? Can a heritage authority exclude an area from the sixty year rule? (3) The provincial heritage resources authority may at its discretion, by notice in the Provincial Gazette, make an exemption from the requirements of subsection (1) within a defined geographical area, or for certain defined categories of site within a defined geographical area, provided that it is satisfied that heritage resources falling into the defined area or category have been identified and are adequately provided for in terms of the provisions of Part 1 of this Chapter.